Did you know that Google sees different versions of your website? That’s the case even if you never intended to create different versions of your website. Did you also know that it’s extremely important to know which version of your website you’re looking at or working with when you’re using Google’s search console. Well, that’s the subject of our video today in business basic SEO, so stick with us and I’ll be right back. 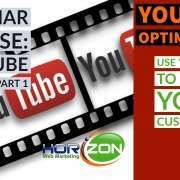 Hi, I’m Ross Barefoot with Horizon Web Marketing and the Horizon Web Marketing Academy where we help business people understand SEO. 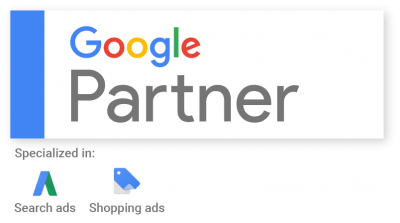 Now today we’re going to be talking more about the search console, this is a free tool that Google offers to web masters, business owners, anyone who’s working in digital marketing or SEO and who wants to do better with Google. Now, search consoles are a very valuable tool as a matter of fact in our consulting business, we work with it all the time. In our training academy we teach about using it all the time. Let me explain a little bit what I’m talking about when I say that there are different versions of your website. I’m going to jump over to a website that’s sort of an under developed website. It’s very plain looking, but it will serve the purpose for us. Now, this website is called artisansofcolorado.com, and you’ll notice up in the address bar, up here for search. Notice the details of how that’s represented, h-t-t-p-s www.artisansofcolorado.com. Now that website also could be reached if I typed in, for example just artisansofcolorado.com. If I type that in it’s actually going to go to the same website, but Google actually views those as two different variations of the same website. As a matter of fact, it’s technically possible for you to have completely different content on the www version of your website, than you have on the non www version of your website. 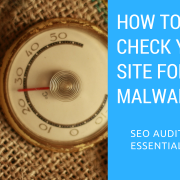 Now, the interesting thing about this is when you’re working with your website, and Google search console each of those variations really should be setup as if you had four different websites. 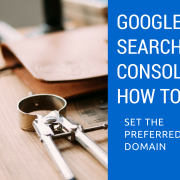 We’re going to switch over now to Google search console, and I’m going to just show you a little bit about how you do this, and how you indicate to Google which one is what we call your preferred domain when it comes to working with Google search console. 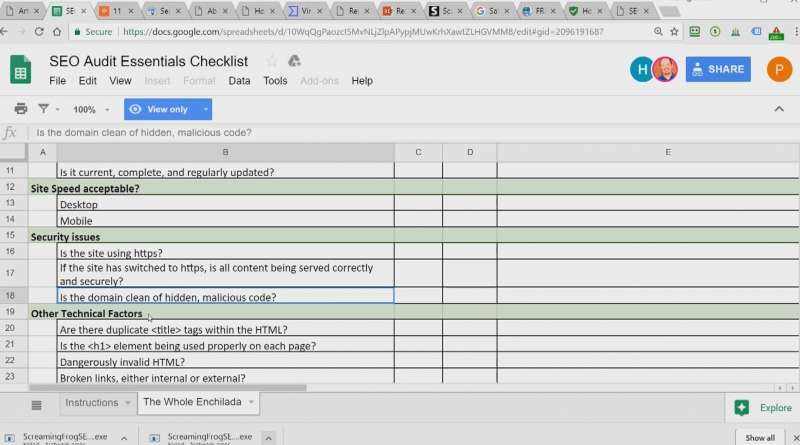 Now first of all, adding a website to Google search console and getting setup with Google search console is a little bit more involved and we do have a video that walks you through that process. 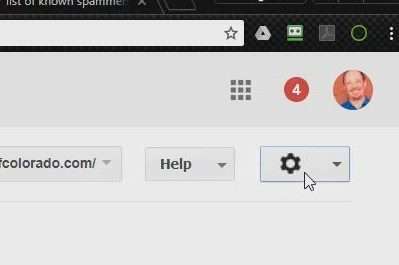 So, if you have never added your site to Google search console before, I’m going to put a link on screen. I’m also going to put a link down in the notes for this particular video and you’ll be able to link over to that. 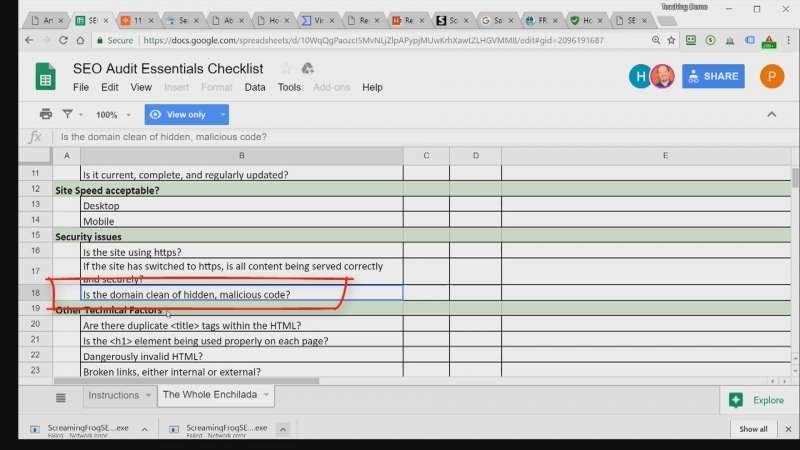 I’d recommend you stop at this point, go over, learn how you add and verify a website in Google search console. Then come back and conclude with this. 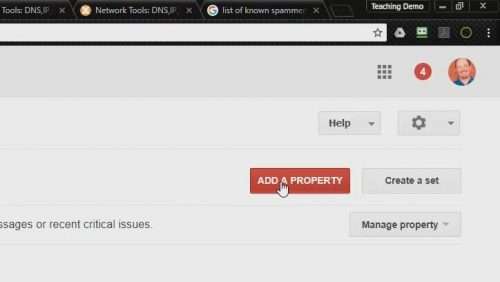 So, what I’m going to do right now is I’m going to use this red button up in the top right, add a property and I’m going to use https//artisansofcolorado.com, and what Google will do is it will add this, it will ask me to verify it. Now, because I don’t want to bog down this video, I’m going to go ahead and complete these steps and then I’ll come back into the video when I’m done, and then we’ll move forward from there. So, here we are back at the search console and I’ve taken a moment and added and verified four different websites, but you and I both know this is really one website. To Google however they’re going to treat it as four. 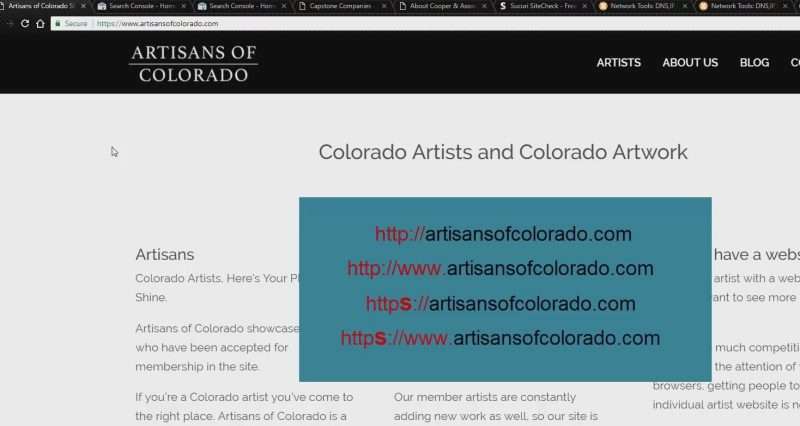 I have the http version of artisans of Colorado without the www, and I have it with the www, and then I have the same thing for the https version. Both different variants of the site. Google does recognize that these sites are probably supposed to be tied together, but they still recommend that you set which one of these in the settings of search console is your preferred domain. Which one should be dominant? So, how do we determine which of those is which? I’m going to suggest that the easiest way to do it particularly if you’re non technical is to let the internet make the decision for you. So, go to a browser, and then notice how I’ve typed in just the domain name, now the domain name is whatever word is to the left, followed by whatever is to the right of the period. So, in this case it’s just straight out artisansofcolorado.com and I don’t add in www. I don’t put in http, I just put in the domain name and I hit enter. 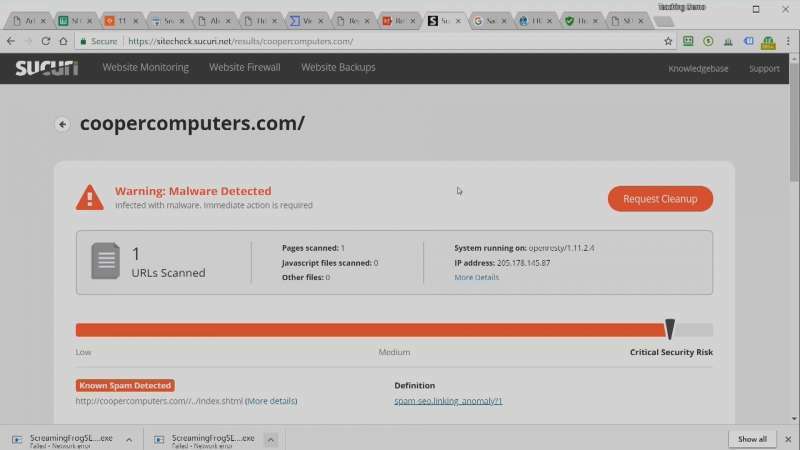 Notice how the address bar in the top has changed, https and www have been added. So, this indicates to me that this website is setup in such a way that it should default to that particular variant. Let’s return to search console and here’s how we tell Google that, that should be our preferred domain. We’ll click on this one here, the www version, and then we’ll click on the gear at the top right, and we’ll select site settings. Often when you first set this up, Google will choose one of those as the default. In this case, if it comes up set as don’t set a preferred domain, you’re going to now change that setting and we will here. We’re going to select the radio button. Remember we want to be with the www, we’ll click save. Now, I’m going to show you something interesting about this. Google of course tells us that it views these as four different websites in effect, but once I’ve made this change if I go to any of these other variants. Let me take this one here, and I click on settings. No, it’s changed it for this one as well. So, in other words this does indicate that Google recognizes, as I said earlier that these are supposed to be part of a matched group. Basically we have done what we need to do. 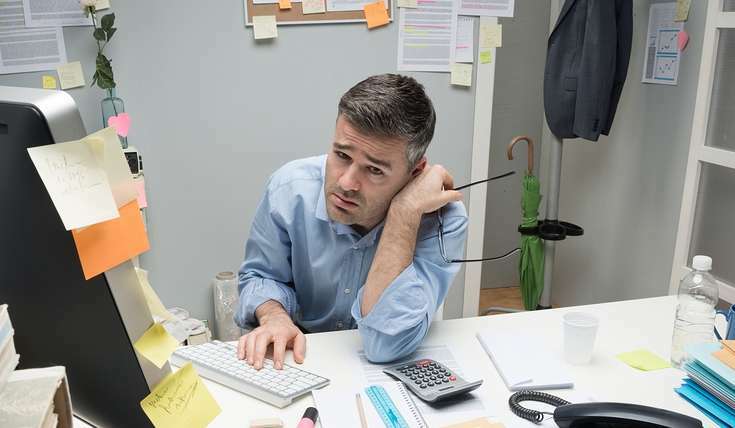 Now, the last thing that I need to tell you is, when you come back to search console as data has started to accumulate here, you will not see the same data in each of these various websites. 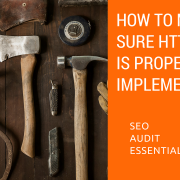 So, the account that you go to for your most consistent, most complete information is going to be the one that you set here and proceeded by your default protocol in the http versus https. That defines what we call protocol. 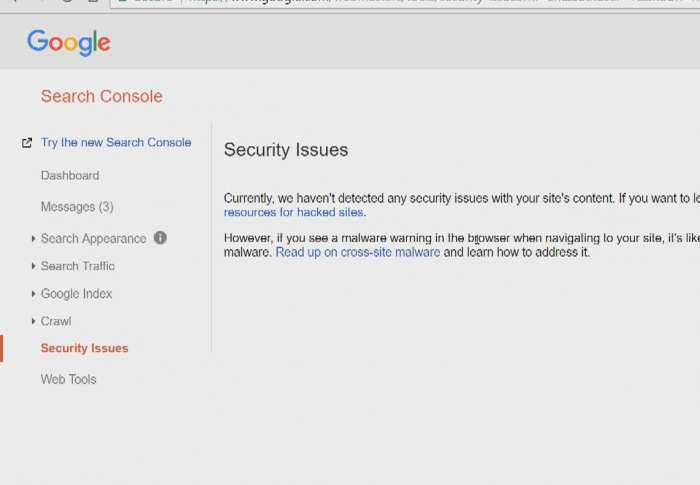 So, typically when we come back and we want to manage this site, submit site maps to Google search console or see things like for example crawl errors and so forth. We want to focus on that particular property. Now, there is a way where we can further tie all of these websites together and it’s something called the set, but I’m going to leave that for another video. So, for now I’m going to just let you go and set your preferred domain if you haven’t already done so. Of course if you haven’t added your websites to Google search console, then go and look at the other video that I’ve referenced in the description. 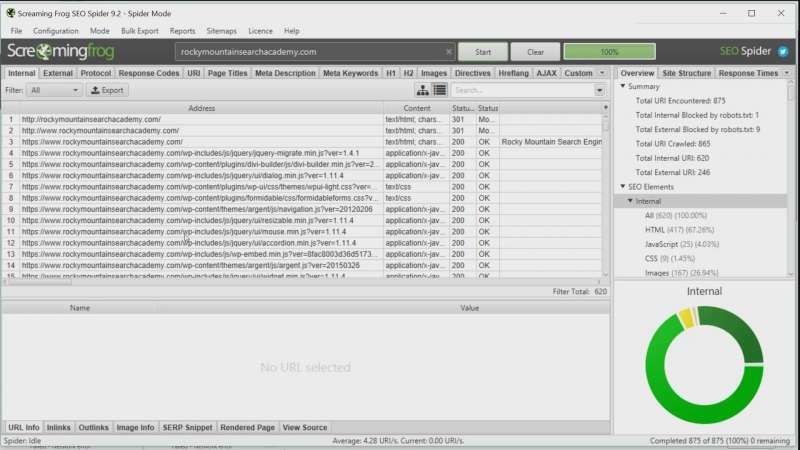 Then go and add those sites to Google search console. 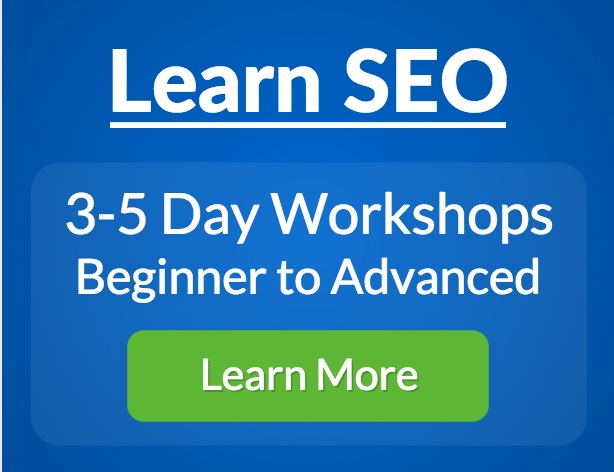 That’s one of the first steps that you do when you’re optimizing a site for search. I hope this bit of business basic SEO has been helpful to you. If you like tips like this, and they are useful to you, make sure that you subscribe to our YouTube channel down below. Also, go ahead and leave us a comment if you’d like to see videos that we don’t have within our channel. In the mean time, thanks for tuning in and we’ll see you next time.